Johnson Pump combines advanced design technology, innovative production strategy and dedicated craftsmanship to create pumps that exactly meet all demands of its customers, from capacity and head, to required installation dimensions and materials. No matter whether you are an experienced boater looking for a replacement pump or a manufacturer looking for any pumps for your marine application, we are prepared to provide you with the support you need. And no matter where you work or live, access to our products, services, spare parts and support are never far away. In fact, you’ll find Johnson Pump represented in every major industrial country of the world today and more than fifty nations altogether. 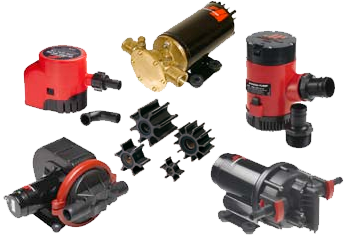 Johnson Pump is one of the world’s leading manufacturers of pumps for marine use. For more than thirty years, Johnson Pump has been providing the boaters of the world with high quality, highly reliable pumps. Our extensive product range includes water pressure systems, bilge pumps, deck wash pumps, engine cooling pumps and more. Thanks to our extensive marine pump experience, we know the boating industry well. This makes it possible for us to find pumping solutions that meet the specific needs of each customer. That’s why so many leading manufacturers of marine engines and recreational craft trust Johnson Pump to provide solutions for all their pumping needs. Johnson Pump has built its international reputation on attention to quality in every detail of product development, production, and customer relations. You can count on us for constant improvement and further development in every aspect of our business dealings.